This map was created from a series of maps created for the park in 1901. It shows the battlefield as it appeared at the time of the battle. 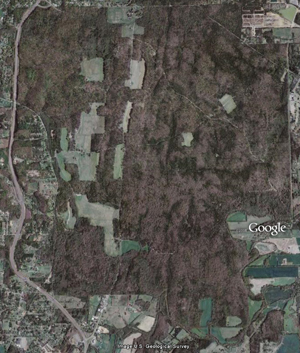 It has been cleaned up and color has been added for the forest, much like modern topographical maps. Warning- the high resolution version of this map is 1 MB. 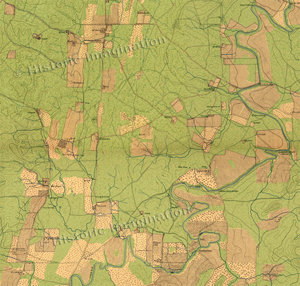 An image of the Chickamauga battlefield as it looks today. Image © Google Earth 2008.